As part of our new and extensive range of chairs, comes another luxurious grey armchair. 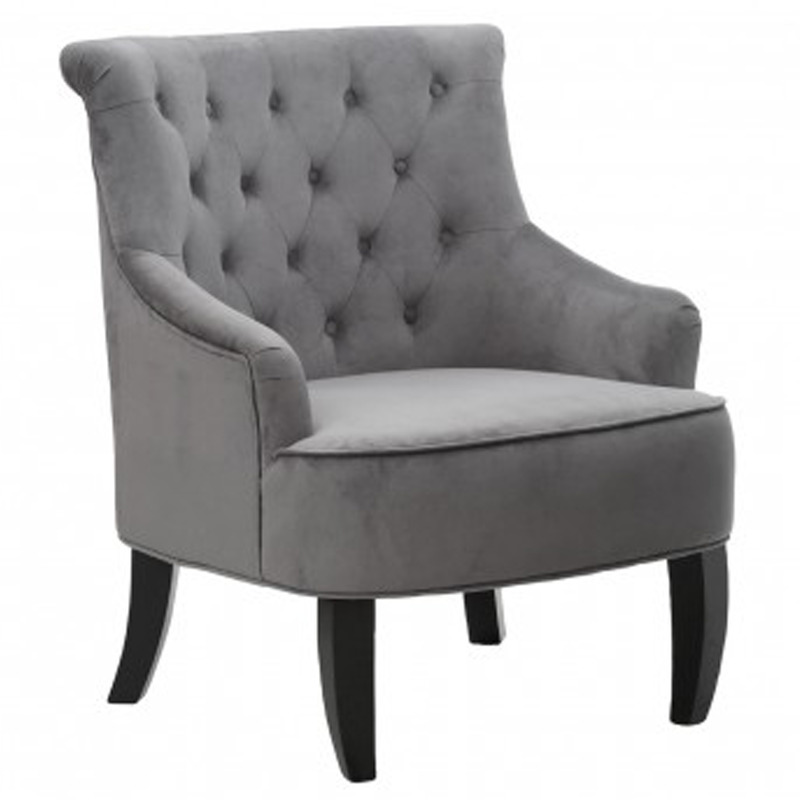 This aesthetic armchair was created with luxurious velvet fabric in a very stylish grey colour. Also features button stitch detailing, deep padded seat, backrest & armrest and solid birch wood legs with a beautiful black finish. This is the right way to add colour into your living room and lounge.